Inspiration Centre is proud to announce the launch of our new baby care! Moses has been dreaming of this programme for a long time, and thanks to two amazing volunteers, it finally has arrived. In Mathare, most mothers are forced to leave their children at home, unattended (or watched by older siblings), while they go to work. 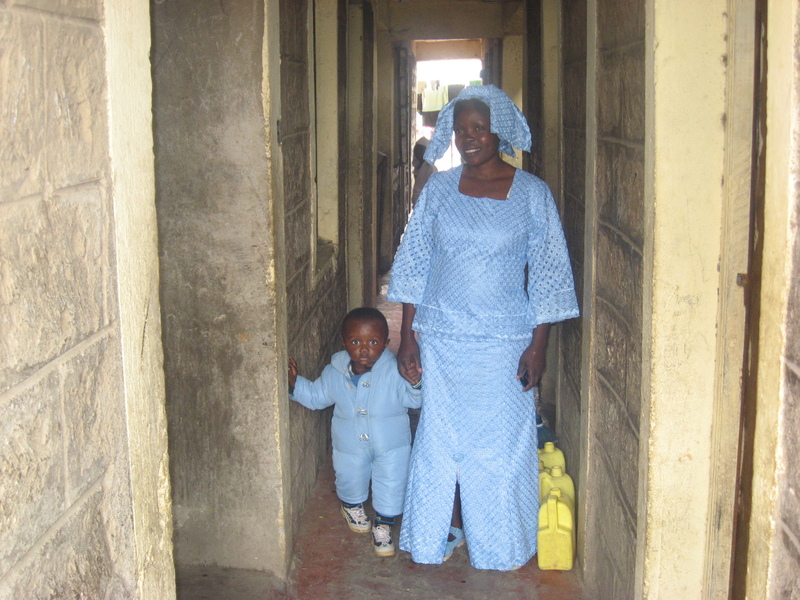 Now they can bring their babies and toddlers to our centre for care. The programme is open every Monday through Friday from 7am to 7pm. We hope this becomes a safe place for children to come while their parents are away. Currently, we’re charging just a small fee (about 20 shillings) to cover some of the expenses, but it is thanks to the volunteers and goodwill of other supporters that it is able to stay open. Our biggest challenge right now is to provide care for children whose parents work through the night. Some of the single mothers in our neighborhood who work as prostitutes at night have wanted to bring their kids to us instead of leaving them in the house alone. It’s going to be hard, but these women need just as much help as anyone else, so we’ll have to see what we can do. As always, if you’d like to volunteer or support us in another way, please contact us at inspirationcentremathare@yahoo.com.